Mackey is one of 180 creative artists, scientists, and scholars selected this year by the John Simon Guggenheim Memorial Foundation from a group of 3,000 applicants. 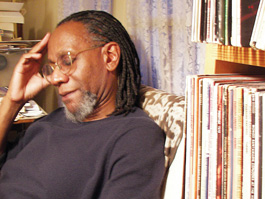 In 2006, Mackey was honored with a National Book Award in the poetry category for his book Splay Anthem. He received a Whiting Writer's Award in 1993 and was elected to the Board of Chancellors of the Academy of American Poets in 2001, one of the highest honors in the field of poetry.